Motorists should be aware of roadwork today on W. Maple and E. Main St. Officers on location assisting with traffic. Roadwork is taking place at two locations in Moorestown during the day today. Officers are on location to assist with traffic. *W. Maple Ave. is closed between Maple Ct. and N. Washington Ave for utility work in the roadway. Consider using Oak Ave. as an alternative. *E. Main St. in the unit block has east and west traffic lanes reduced in width as PSEG does utility work on the north side of the street. 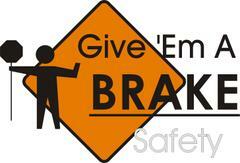 Use caution at both locations and watch for workers in the roadway.